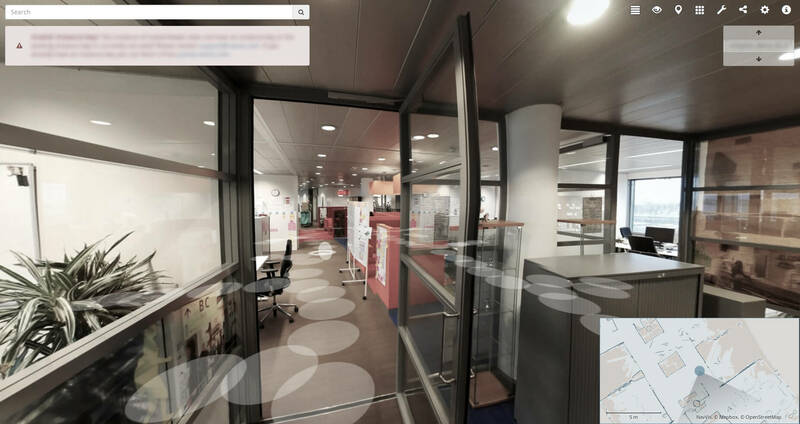 Explore the indoors with a fully immersive 3D walkthrough. The IndoorViewer is browser-based software that visualizes building data as high resolution images. Now anyone can access and interact with building data. Powerful, browser-based point cloud streaming lets you access building data on any device. Use the point cloud to inspect the building and even take precise measurements. If you have already captured data with other devices, we can import it to the IndoorViewer. Both indoor and outdoor datasets are supported. The easy to use content management feature lets you add and edit information as geo-referenced points of interest. Every building stakeholder can now access and add information in an intuitive building visualization without having to install additional software. You can easily create basic floorplans using the Site Model feature to define the floor space. You can also calculate the area of a room remotely and share maps by sending a link. Find the fastest route from point A to B using the IndoorViewer. Simply search for a point of interest and get step by step routing information. A virtual path shows you where you will be going and how to get there.